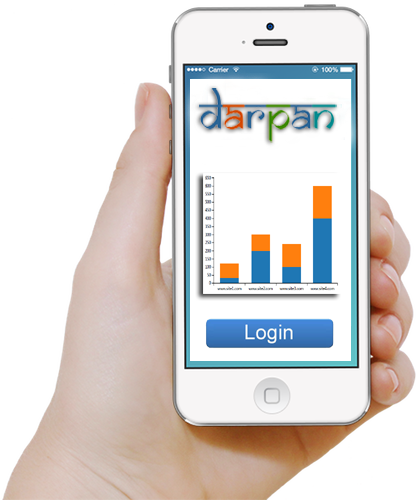 An introduction video of DARPAN dashboard.
" DARPAN, a Dashboard for Analytical Review of Projects Across Nation, transform complex government data into compelling visuals. It gives the district administration a tool, which is needed to deliver real-time, dynamic project monitoring without coding or programming through web services. It enhance the analytical capabilities through data collection by consolidating multiple data sources into one centralized, easy-to-access platform. It immediately identifies trends and quickly drilldowns into data to gain enhanced perspectives of the district level projects. DARPAN displays information in an objective and quantifiable way that helps the district administration to see and understand not only its success, but also its pain points and areas in need of improvement. 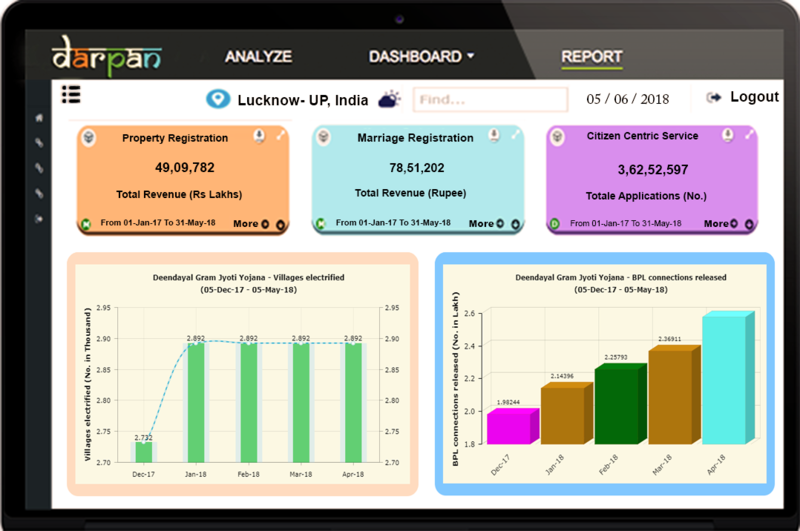 DARPAN is meant to provide district administration, at a glance, the status of different departmental activities with an architecture for presenting dash board in respect to the monitoring of schemes at district level. The Important fact of the architecture of the dash board is that it has been hosted on common framework for the entire country. " Configurable to Priortize The Important Projects. District Collector's Personalized login configured to access the Dashboard. State Administrator as well as District DIOs have personalized access to tinker Settings. Constantly Improved to Provide the Best View of Services in the district. 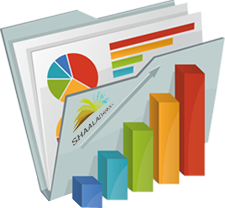 At a Glance to Drill Down Reports & Graphical Analysis of Project Statistics. Access to the Dashboard from anywhere anytime with Periodically Updated Data in Real Time. Rank Pojects to View What is Crucial First. View Dashboard From Any Device. Dashboard platform is designed, developed and hosted by National Informatics Centre, Ministry of Electronics & Information Technology, Government of India. © DARPAN, Dashboard Service of NIC, India | All rights reserved. Content on this website is published and managed and owned by Respective Departments. Best viewed in Chrome 55.0+, Mozila 50+, IE 11+, Safari 5+ with resolution 1360x768 pixels.